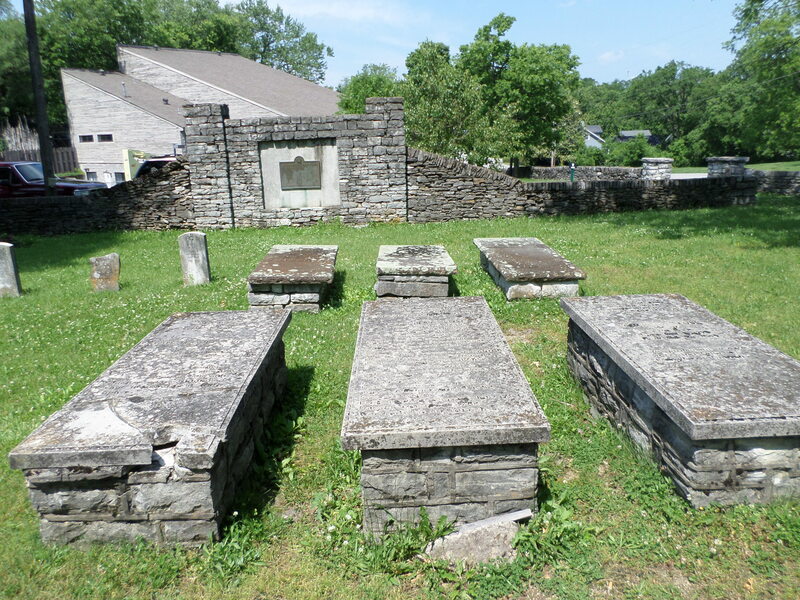 Monday was an exciting day of cemeteries and fun in three of what I would call the ‘mid-western’ counties of Kentucky – Larue, Hart and Grayson. 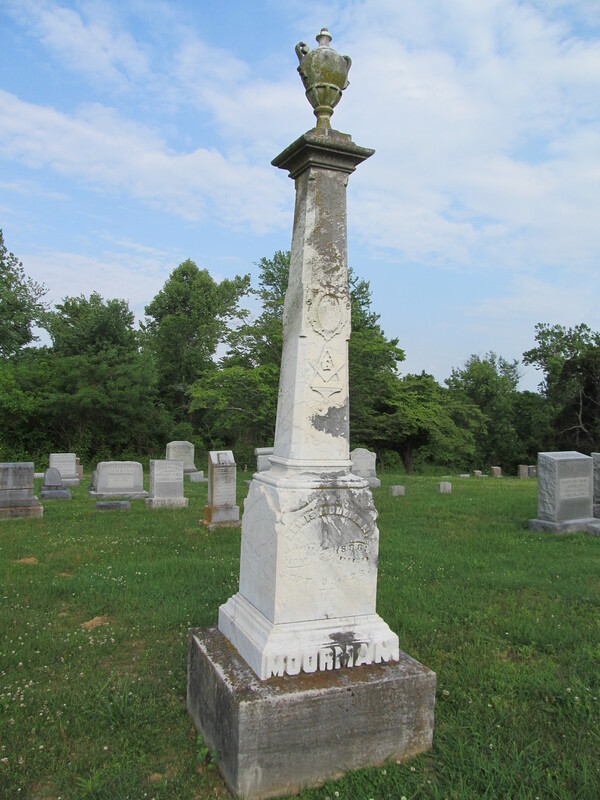 Tuesday we started out for Bullitt, Hardin, Meade and Breckinridge counties – and ten cemeteries within. 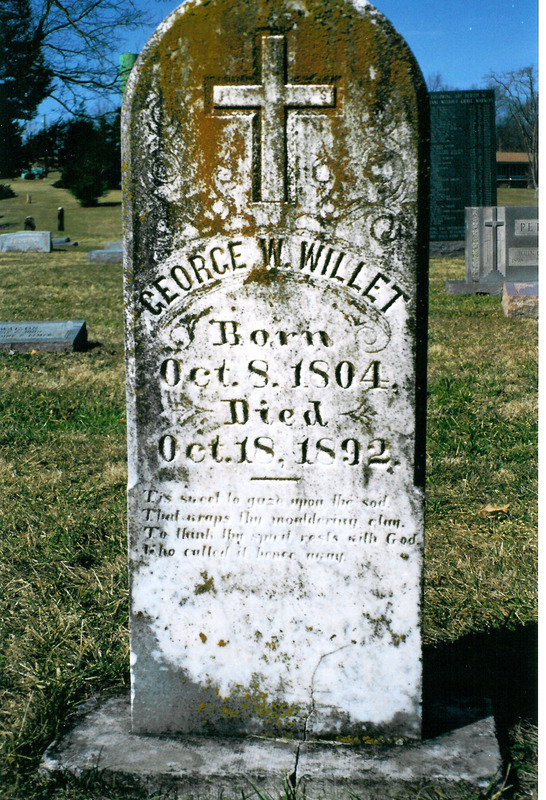 In the eastern side of Bullitt County on Hwy 1604, just before it T’s with Hwy 480 is Cedar Grove Methodist Cemetery. 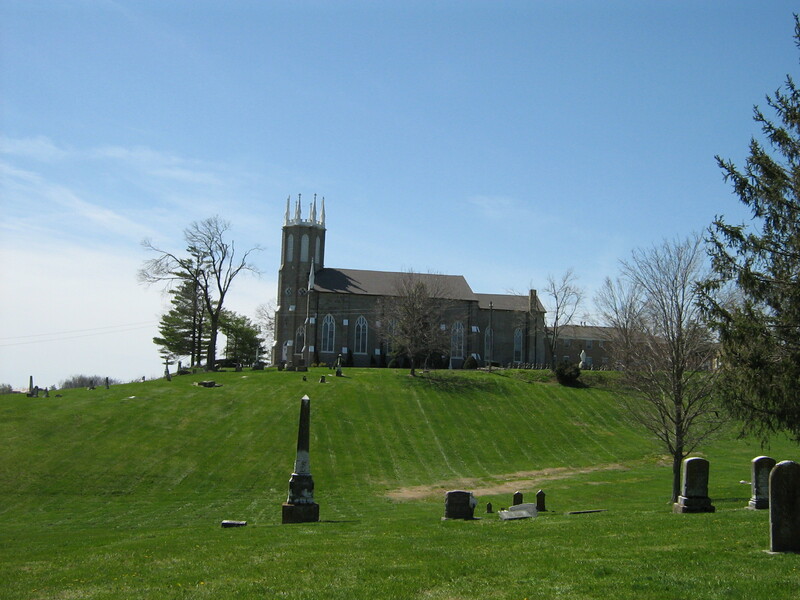 It is a small church and cemetery, but beautiful! 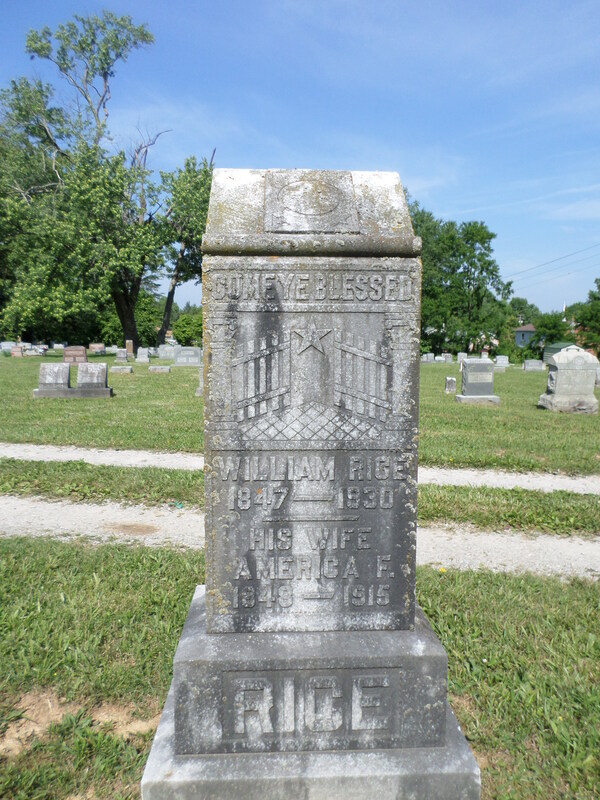 ‘Come ye blessed.’ William Rice, 1847-1930. 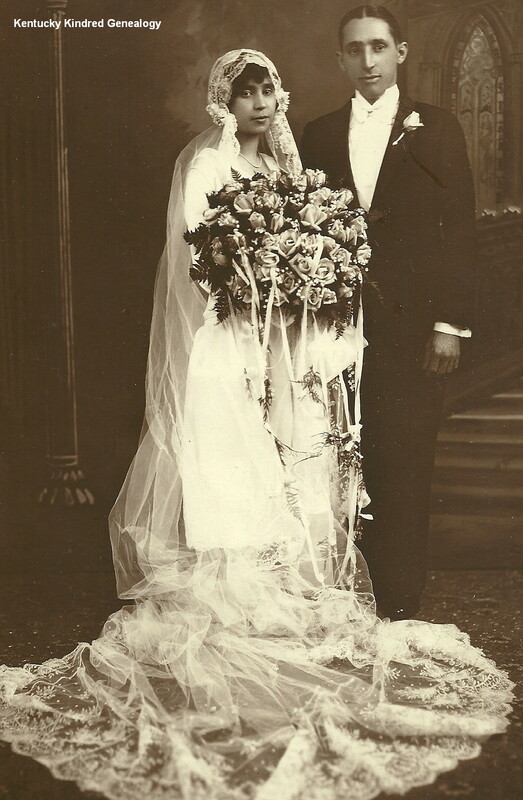 His wife, America F., 1849-1915. Cedar Grove Methodist Cemetery, Bullitt County, Kentucky. The top of this stone is quite beautiful – the gates of heaven, open, waiting for those who are worthy. 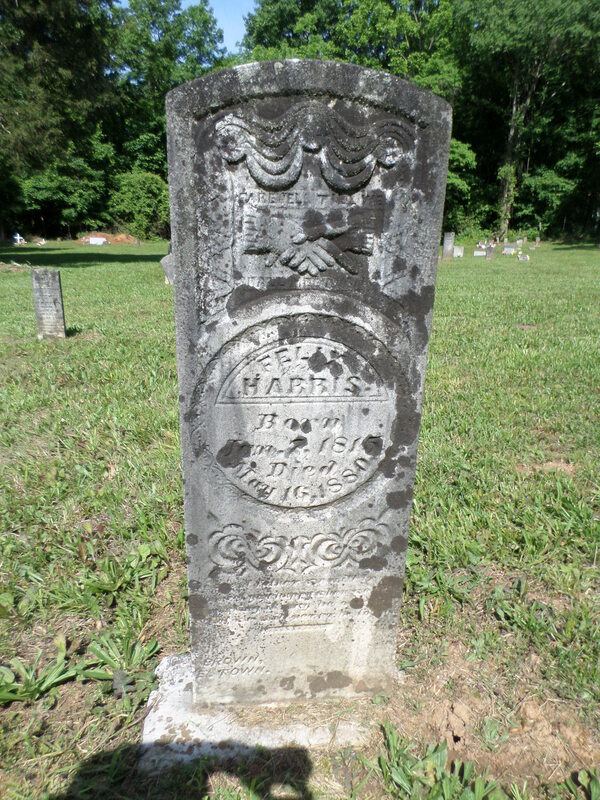 As soon as we turned on Hwy 480 we came up Old Cedar Grove Baptist Cemetery. 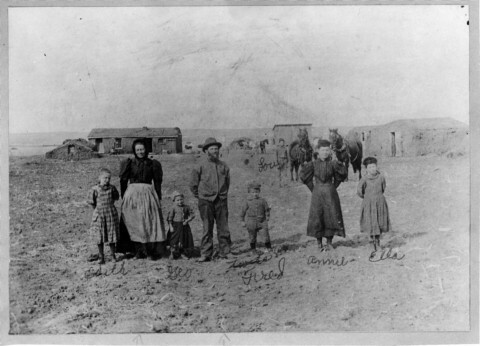 Quite a bit older, no church at this time. Many of the stones were covered in a black substance – not sure what it was. As you can see from the photo below, when totally covered they are unreadable. 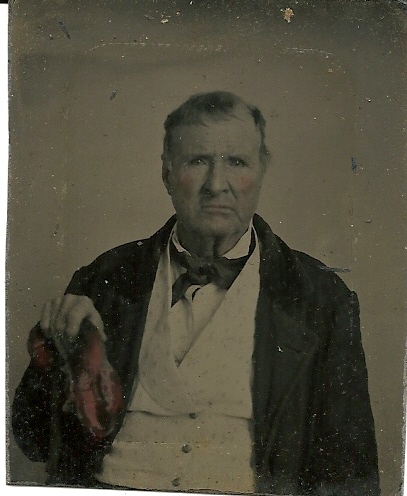 Felix Harris, born January 7, 1815, died May 16, 1880. Old Cedar Grove Baptist Cemetery, Bullitt County, Kentucky. We traveled west on Hwy 480 until it came to Hwy 61, went north about half a mile, then west onto Hwy 44 to Bullitt Lick Baptist Cemetery. This church was larger, as was the cemetery, which was on a small hill at the back of the church. Beautiful trees! 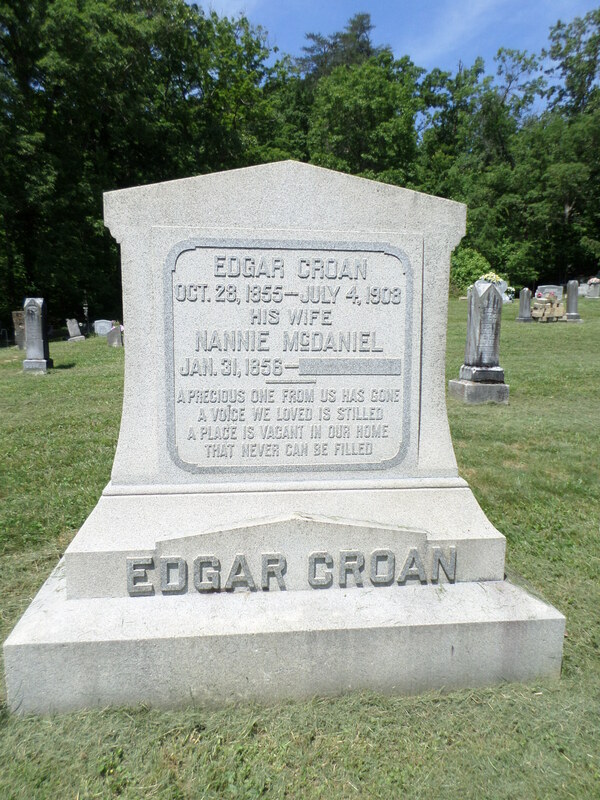 Edgar Croan, October 28, 1855 – July 4, 1908. 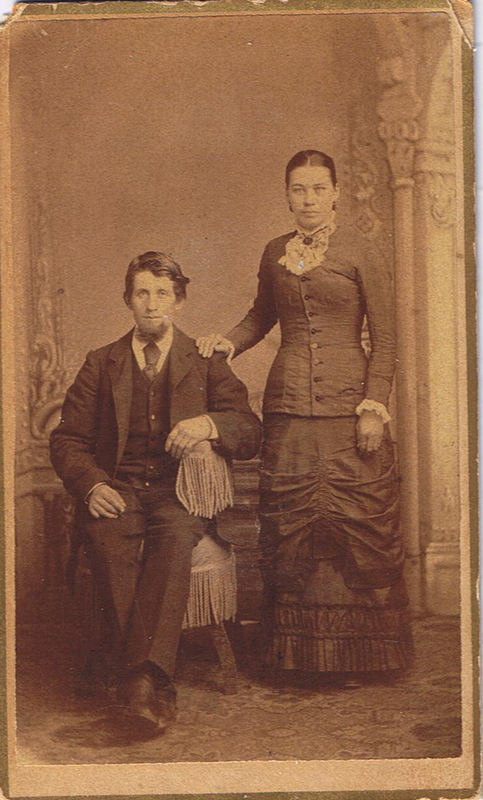 His wife, Nannie McDaniel, January 31, 1858 – ?. Bullitt Lick Baptist Cemetery, Bullitt County, Kentucky. 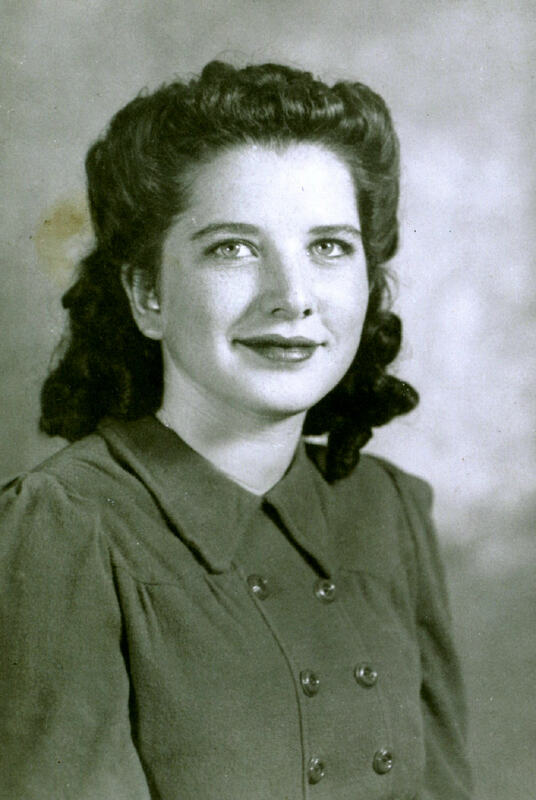 Such a shame that the death date of Nannie Croan is not on the stone! 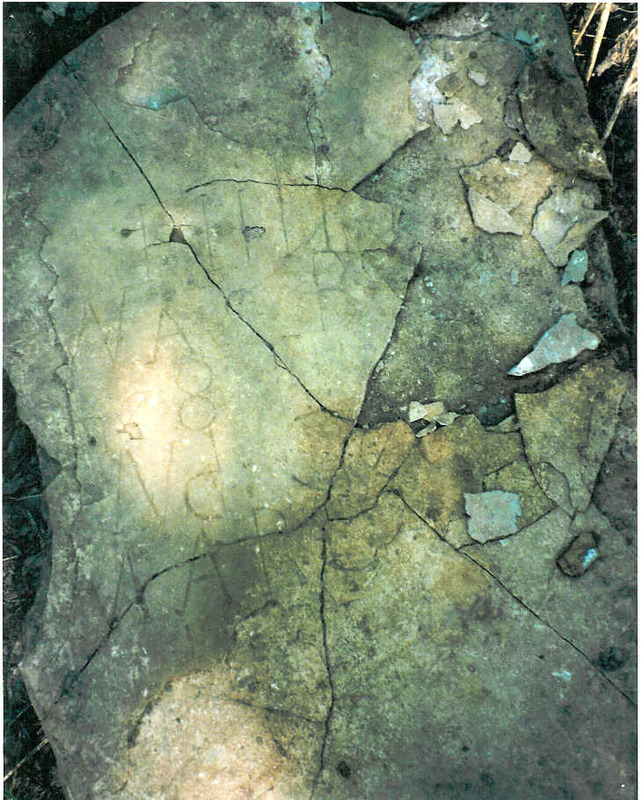 How I would love to travel around, find stones where there is no death date and have them chiseled in! Ritchey found a geocache in this cemetery which made him very happy! Time to move on to the next county. 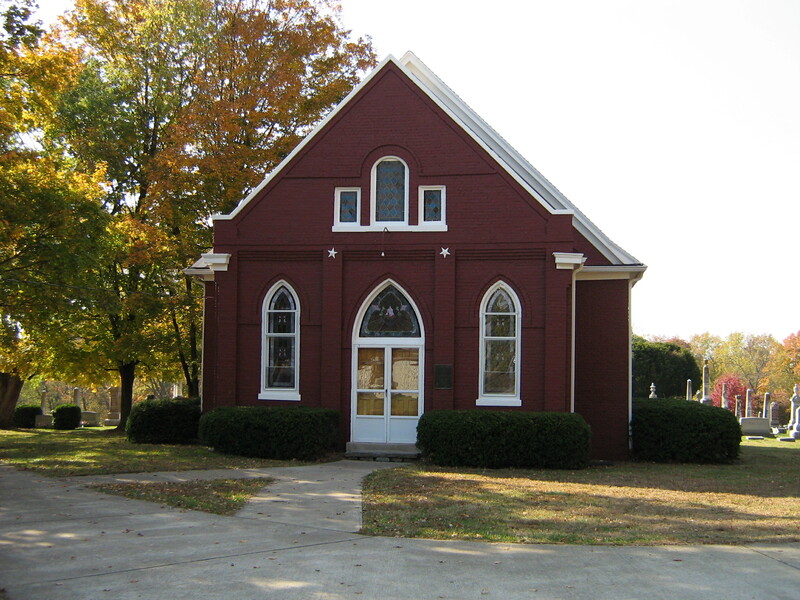 We drove back to Hwy 61 and headed south for Hardin County – our destination Elizabethtown and the city cemetery there. I wasn’t sure what we would find – I knew it was a huge cemetery – but was pleased when we pulled in and saw all the old stones! 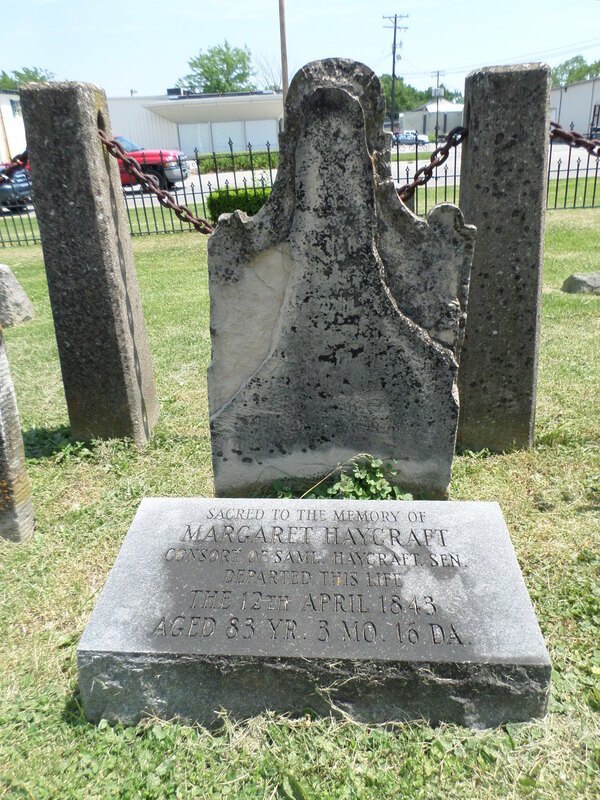 Sacred to the memory of Margaret Haycraft, consort of Samuel Haycraft, Sen., departed this life the 12the April, 1843, aged 83 years, 3 months and 16 days. 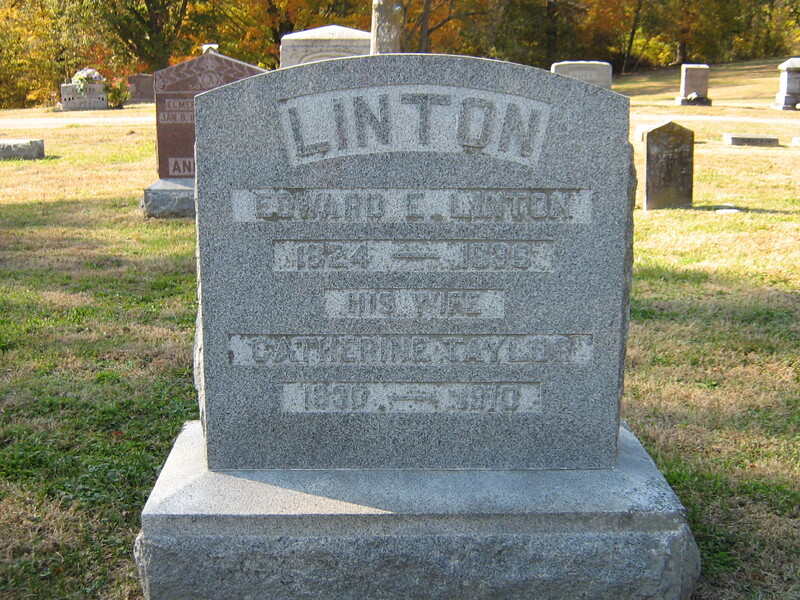 Elizabethtown City Cemetery, Hardin County, Kentucky. Margaret was born in 1760! 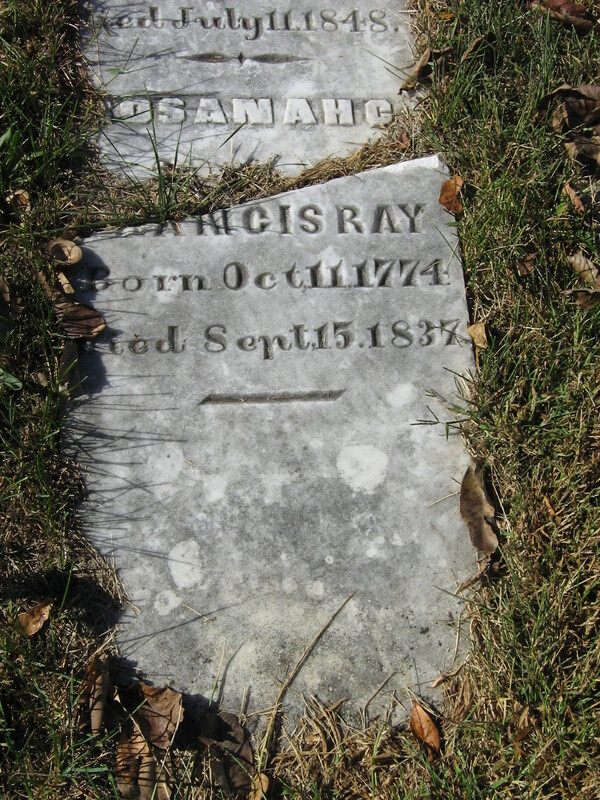 Her husband is buried beside her. Thankfully new stones were placed in front of the unreadable old ones! Lunch had been on my mind for quite a while, so when Ritchey finished his geocaches we went to Back Home Restaurant in Etown. Ritchey had their shrimp and grits; I had baked country ham with potato salad and broccoli casserole. For those of you who have never had country ham you don’t know what you are missing! In Kentucky and Virginia (and probably other places in the south!) hams are cured with salt which gives it a wonderful taste! 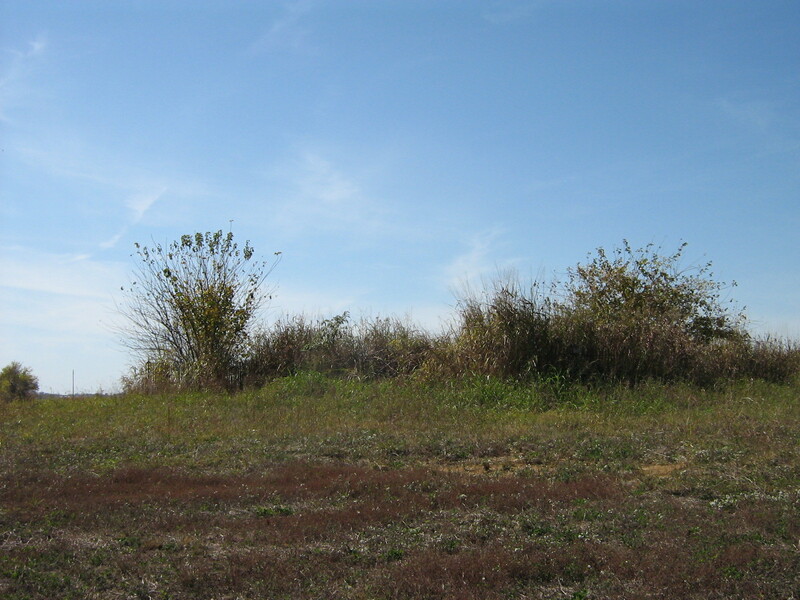 Onward to Meade County and Cap Anderson Cemetery, which is at the edge of the town of Brandenburg. This city was hit by tornadoes in 1974 and there is a large monument to the 39 citizens who perished that day. 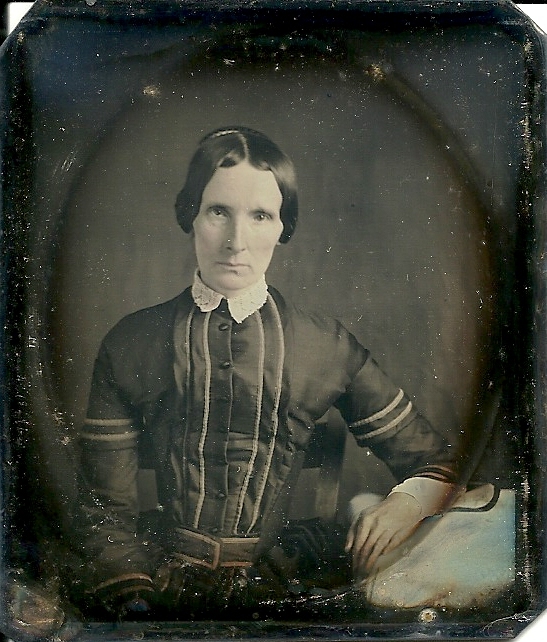 Rebecca C., wife of William Hayes, born December 17, 1812, died June 5, 1884. Cap Anderson Cemetery, Meade County, Kentucky. From there we took Hwy 1692 to Hwy 144, to Hwy 1844, to Bald Knob Cemetery Road. This was a tiny, dirt/rock road with many holes and rough areas. At the top was a delightful small cemetery. 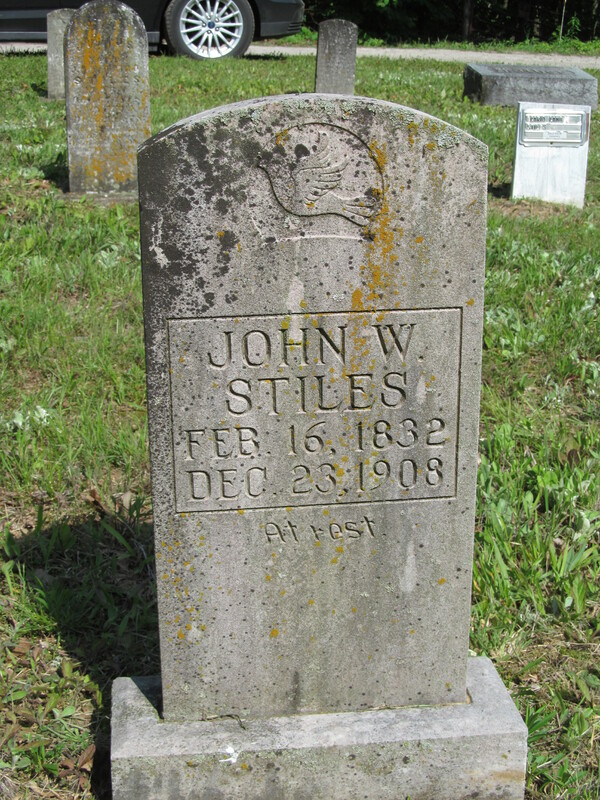 John W. Stiles, February 16, 1832 – December 23, 1908. 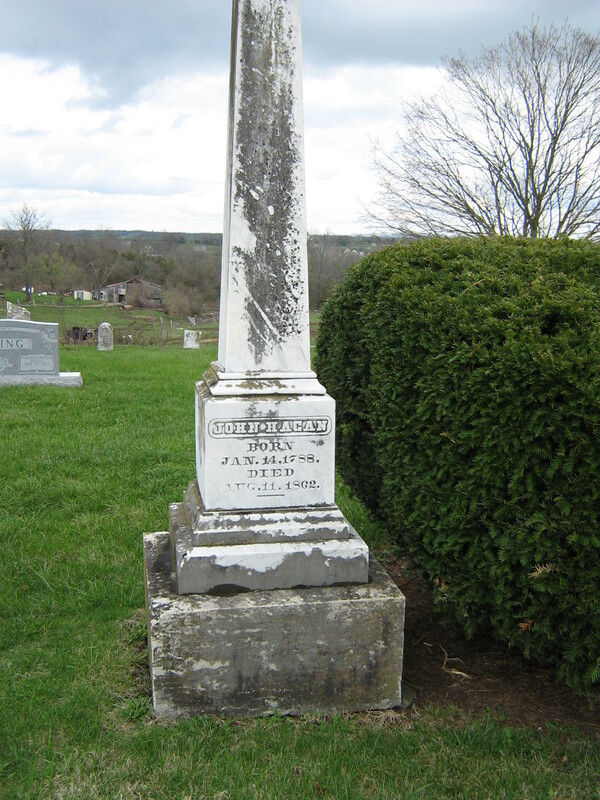 Bald Knob Cemetery, Meade County, Kentucky. Westward, ho, we go to Breckinridge County, coming in on Hwy 79 where it joins with US 60 just across the county line. The town of Irvington is in that junction and there we visited Cedar Hill Cemetery. As you can tell from the photo, the light was not as good as earlier in the day. 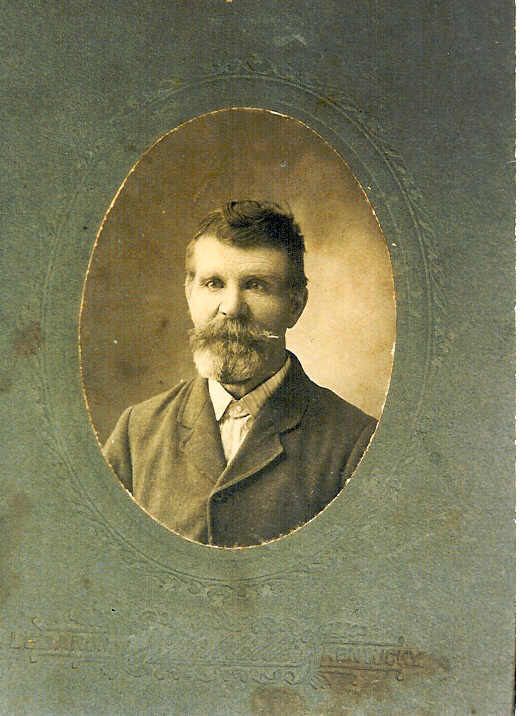 T. P. Davis, April 27, 1847 – April 18, 1936. J. 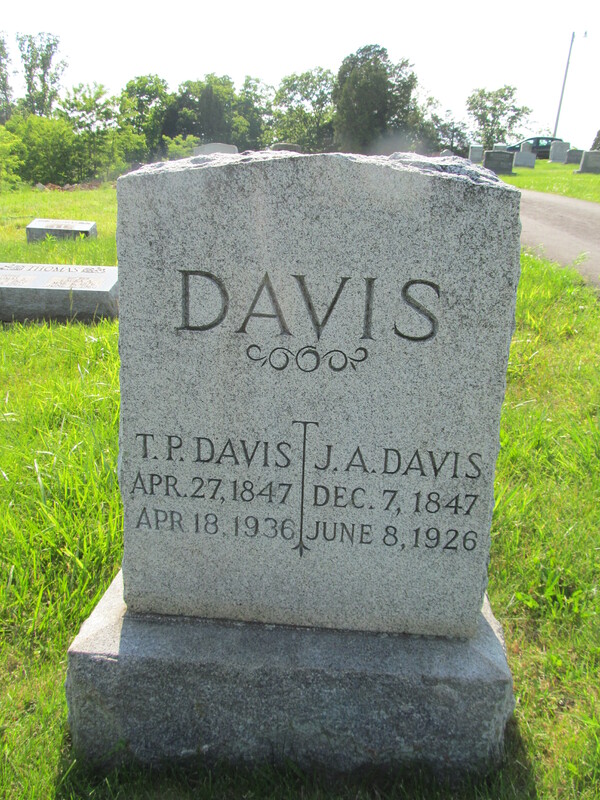 A. Davis, December 7, 1847 – June 8, 1926. 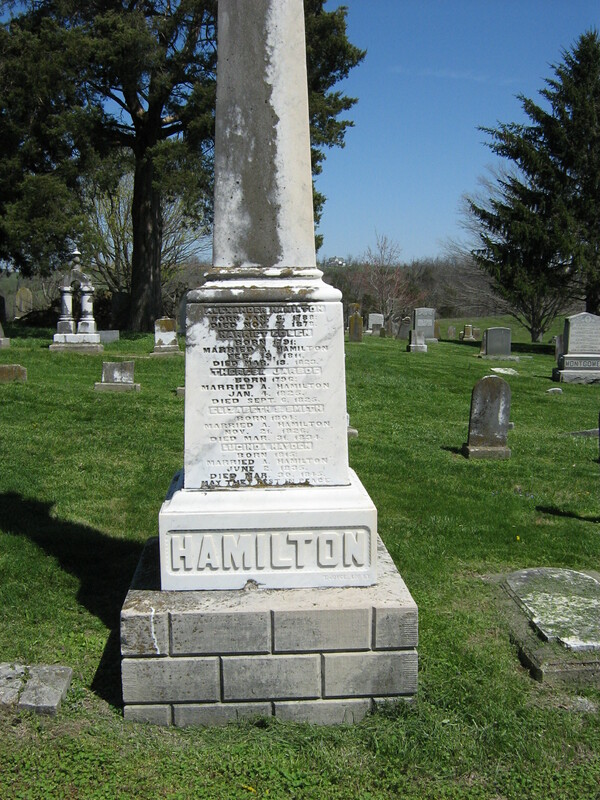 Cedar Hill Cemetery, Irvington, Breckinridge County, Kentucky. After Cedar Hill we drove across county to the City of Cloverport, close to the Hancock County border and on the Ohio River. Cloverport Cemetery and Calvary Cemetery were side by side. 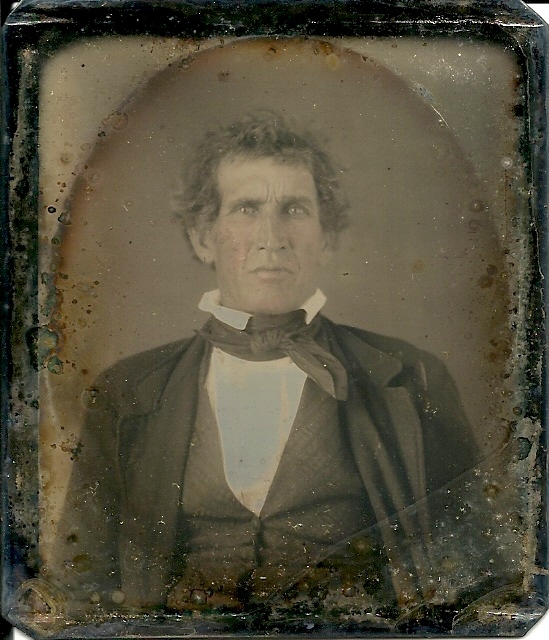 Lewis Moorman, born November 5, 1836, died September 9, 1878. Cloverport Cemetery, Breckinridge County, Kentucky. 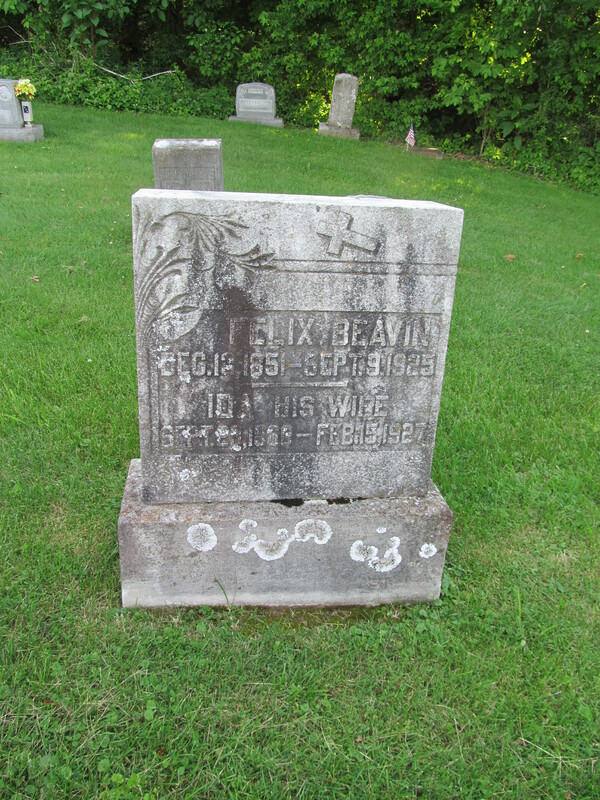 Felix Beavin, December 12, 1851 – September 9, 1925. 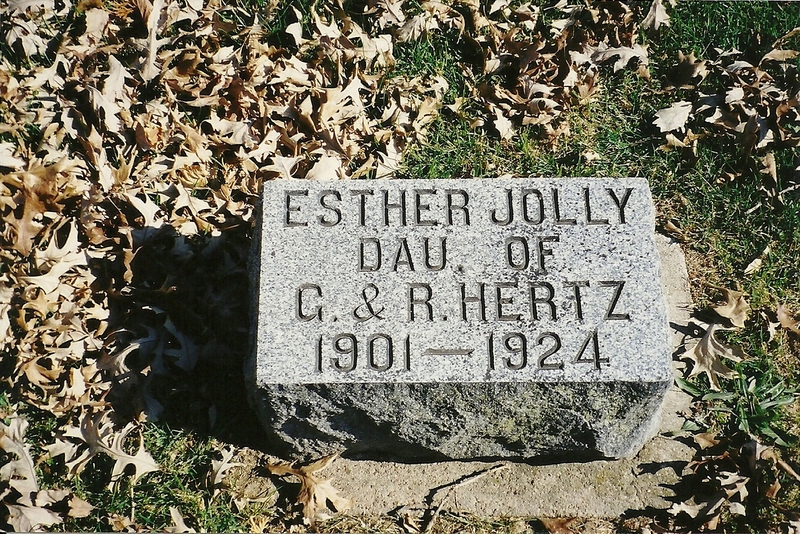 Ida, his wife, September 23, 1860 – February 15, 1927. 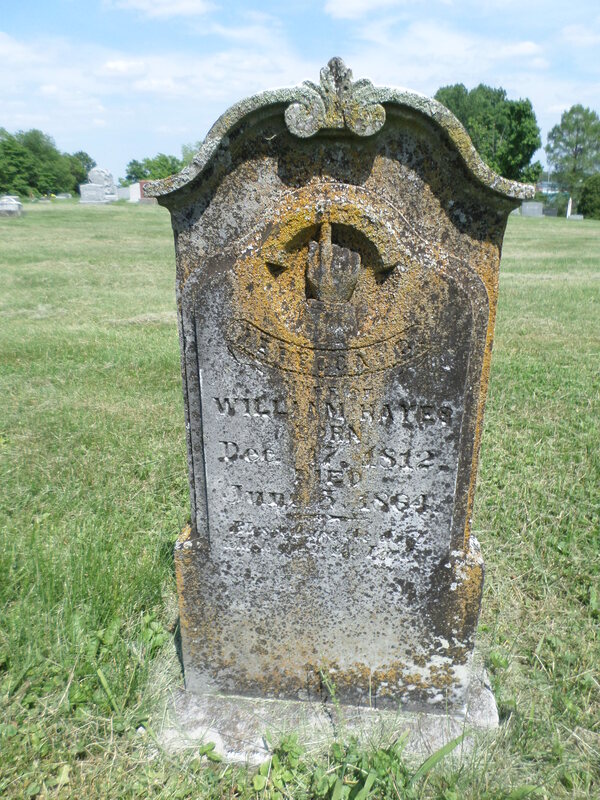 Calvary Cemetery, Cloverport, Breckinridge County, Kentucky. 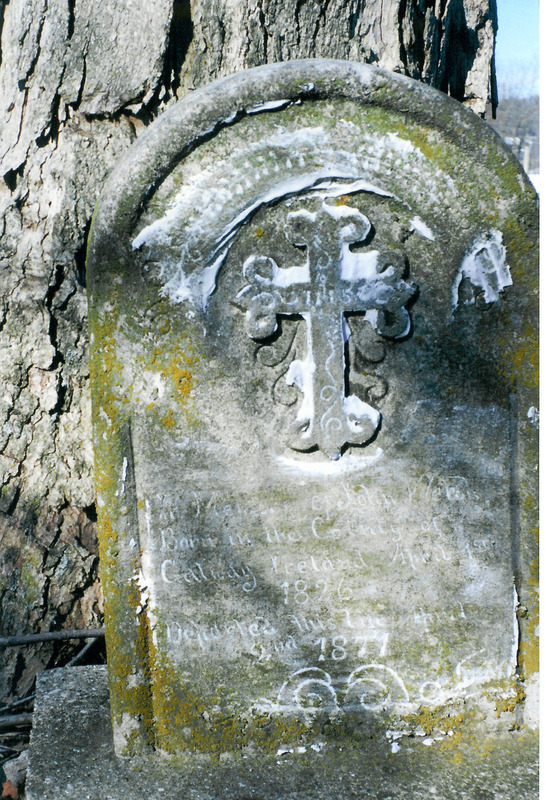 Ritchey had one cemetery he wanted to visit since it contained a geocache – and, of course, he always finds the oldest and best. 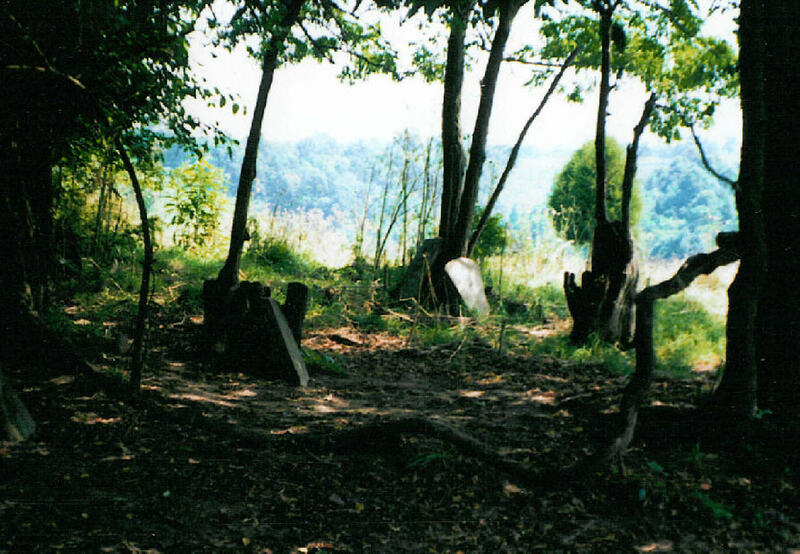 Murray Cemetery in downtown Cloverport is on the Ohio River, just a small cemetery with a few old stones. Rev. 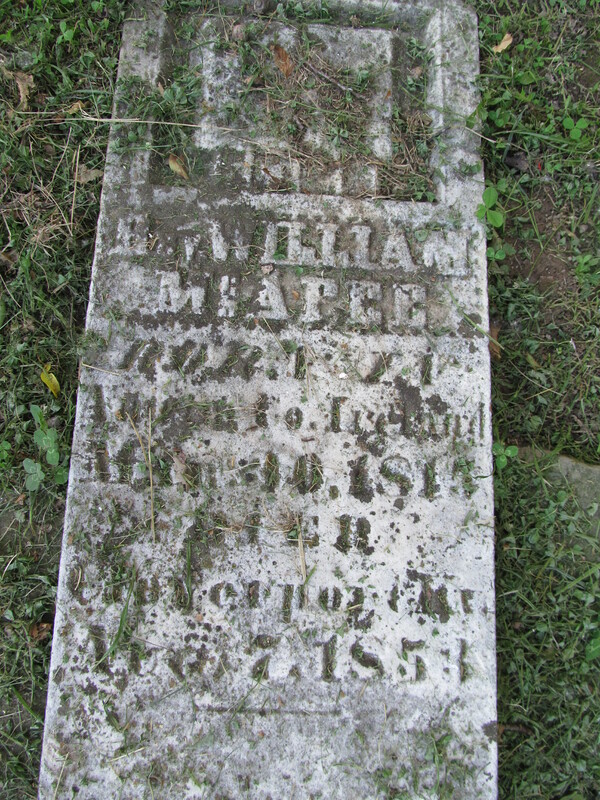 William McAfee, born in Antrim County, Ireland, March 30, 1815, died Cloverport, Ketnucky, April 7, 1853. Murray Cemetery, Cloverport, Breckinridge County, Kentucky. It was quite a two day stint! 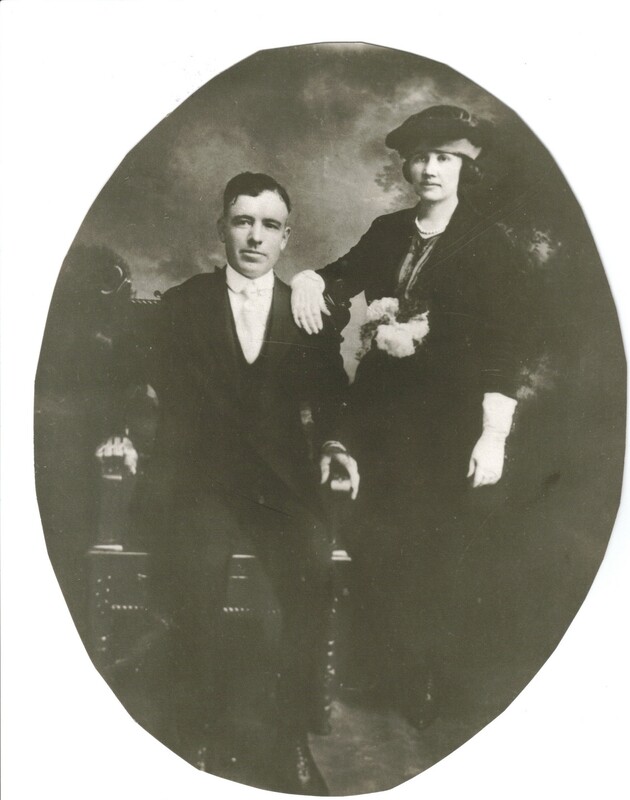 Seven counties, eighteen cemeteries and 1,439 photos! 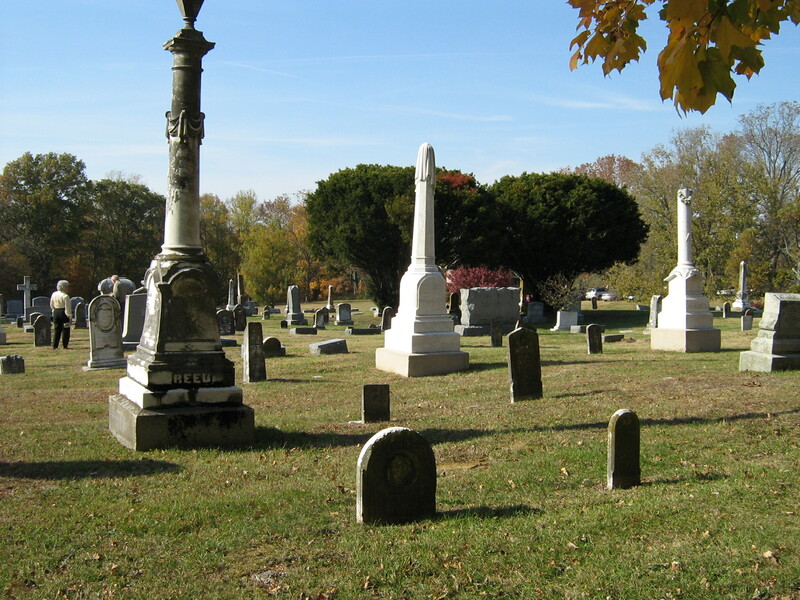 If you have loved ones buried in any of these cemeteries send me a note and I will see if we have a photo.